Destrehan’s Bryce Rochelle in the batter’s box. Destrehan’s Joshua MacCord pitched a shutout to spur his team past district foe H.L. Bourgeois Tuesday as the Wildcats earned a 1-0 victory at home. MacCord tossed a complete game two-hitter to go with 10 strikeouts, the majority of which came against the top of the Braves’ order — he struck out the 1-through-4 hitters a combined seven times on the day. 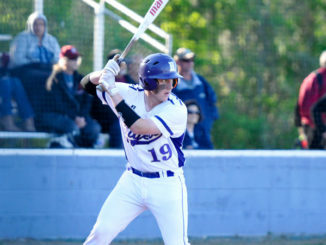 DHS (16-10, 5-2) earned the eventual game-winning run in the fifth inning when Dustin Joliff hit a line drive RBI single. Just five hits total were recorded in what was a pitcher’s duel between MacCord and Bourgeois’ Brayden Doucet. 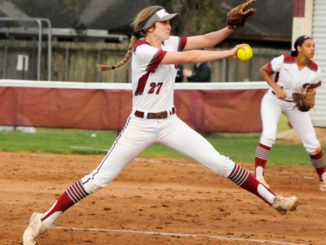 The win was key for Destrehan. After sweeping Hahnville to begin district play, DHS dropped a pair of games to Central Lafourche to drop its district record to .500. But two wins over Thibodaux and the victory over Bourgeois has Destrehan back in strong position in the District 7-5A race. 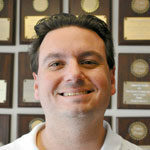 Destrehan bested Thibodaux decisively in both games of a Wildcats sweep. 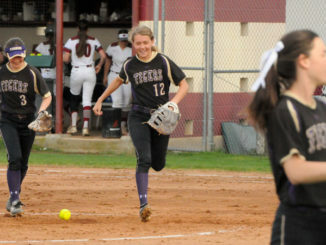 On Monday, DHS took a 12-2 win at Thibodaux in a game that ended by the 10-run rule in six innings. Thomas, Clay Hurm, Bryce Rochelle and Joliff each recorded two hits. Hurm scored a team-high three runs and Joliff drove in a team-high three RBIs. Zack Wild drove in two runs. TreQuan Gabriel earned the win. 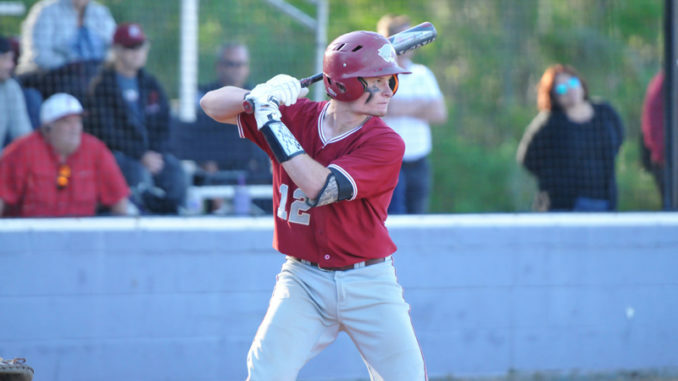 One of the team’s signature wins this season came last week in non-district play, as Destrehan handed Zachary only its second loss of the season, earning a 5-2 victory. Landon Marceaux allowed one earned run and five hits in a complete game effort to earn the win for Destrehan. Ethan West went 2-for-3 and drove in three runs. Avery Schexnaydre went 2-for-4 with two runs scored.